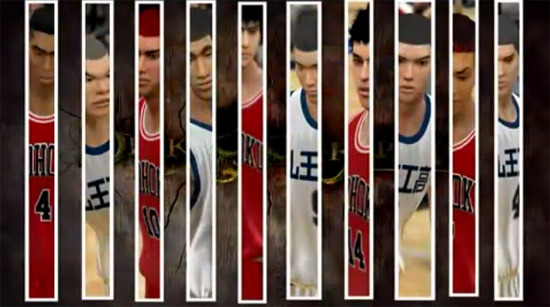 Check out this awesome video inspired by the basketball Anime Slam Dunk!, made with the NBA 2k engine. The video is so awesome it makes us Slamdunk Fans cry! Definitely a labor of love! Yeah, i clicked replay a few times just watching this amazing Slam Dunk 3D video. A must see for any fan of the anime series. my 2 friends from japan told that the slamdunk interhigh is shown in japan only..
how 2 download this video?